A lot has changed since Tony Blair signed the UK up for new nuclear almost exactly a decade ago. Back then we were talking about a start date of 2017 – with electricity produced for £24 per MW/hour of power. All of it now seems absurd. 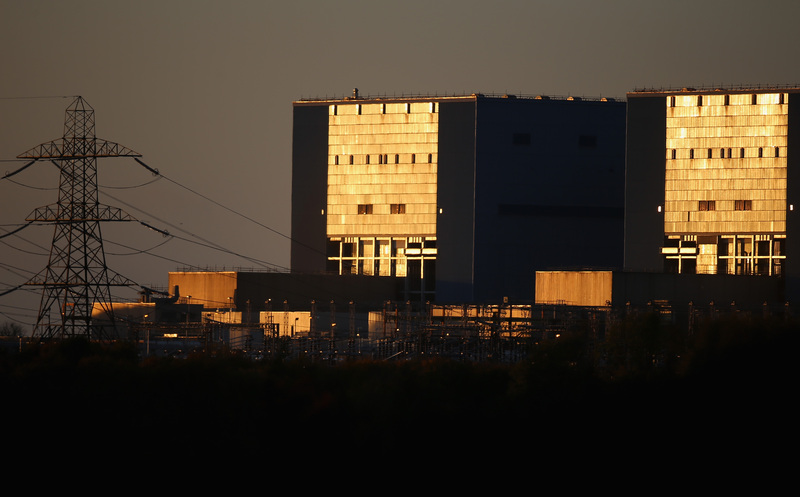 Instead the French state-owned utility building Hinkley faces two fundamental problems. Second, partially because of that, EDF don’t yet have the money to pay for it. The UK government have potentially given EDF a hugely lucrative deal for building Hinkley, so if they could go ahead they would. But EDF is facing significant strains on its resources with considerable existing debt, low power prices, a €100bn reactor upgrade programme to finance, increased financial needs for nuclear waste management and the on-going trouble at the Hinkley-style reactor build in Flamanville (see below). There is also uncertainty over how much EDF will pay for taking over Hinkley builder AREVA’s reactor division and how much of Areva’s cost liabilities EDF will have to take on from the shambles of the other European EPR reactor construction in Okiluoto in Finland (see below). Indeed reports in France suggest EDF has a much higher level of debt than appears on a conventional balance sheet. That’s why rating agencies Standard and Poor and Moody’s have downgraded the credit rating of EDF shares, making it more difficult or expensive to borrow money. A decision to go ahead with Hinkley could lead to a further downgrade. The hybrid debt on EDF’s balance sheet is now close to junk. One obvious course of action if short of cash is to get someone else to help pay for it. But as the headline in the Telegraph puts it: “Investors shun Hinkley Point because they think it will go wrong”. The Chinese may be prepared to do so because they’re getting into the UK nuclear market as a showcase for their reactor exports. However, China General Nuclear have refused to increase their level of contribution to the project from the approximately one third. Rumours of Saudi or Qatari involvement have always come to nothing. As the lead shareholder, the French Government could just give them more money, but that leads to State Aid complications – more on that below. The problems of the EPR reactor construction projects in Finland and in France are now well known. Less well reported is the potential for huge future losses on EDF’s Flamanville build. In France concerns over the safety of a reactor vessel mean tests have been extended to the end of the year, and the French safety regulator ASN is making no promises about what remedial action might be required. In the worst case for EDF, the entire project may need to be abandoned. This is more than just another hole in EDF’s finances. The start up of Flamanville is linked, through State Aid clearance under European Law, to loan guarantees that, although never explicitly stated by any party, appear to be critical for Chinese investors – and certainly for any new players. The importance of the loan guarantees was emphasised by UK Chancellor George Osborne whilst on a mission to Beijing in September 2015 to ‘calm anxieties’ about Hinkley. There are also concerns over the competence (and thus safety) of reactor construction even aside from the worries over the strength of the steel in Flamenville’s reactor. There have been allegations that safety documents were forged and questions over welding abilities, and heavy equipment management. Recently Areva accidentally dropped a 465 tonnes steam generator onto a nuclear reactor vessel. Indeed recently some of EDF’s own engineers appeared troubled over the timing of the Hinkley build arguing for further delays – though not everyone in the firm shares these concerns. Whilst Hinkley has cleared all the UK legal hurdles there remain questions over finance and compliance with EU State Aid law. The arrangements for the UK’s subsidy for Hinkley was, somewhat surprisingly, cleared through State Aid in October 2014. This clearance raised two challenges: firstly from Austria and Luxembourg, and secondly from a group of German renewable energy companies. These have not yet been resolved, and it’s not clear when they will be. Any attempt to build Hinkley without resolution would mean EDF may find itself having to pay money back that it was relying on to make the project finances stack up. And things may get more complex because of the financial trouble EDF is in. One option to allow EDF to proceed with Hinkley would be for the French Government to give EDF more money (they are 85% shareholder). Options touted by French minister Emmanuel Macron include the French state taking shares as dividends rather than cash, or direct recapitalisation. But a leading QC has warned that further recapitalisation options are likely to be problematic for State Aid clearance. There may also be a further legal challenge as a result of UNECE ruling that international consultation over Hinkley had not met international convention standards. Proceeding with Hinkley would mean EDF spending less money in France, which is one of the reasons EDF Unions have called for postponement of the project. The resistance, including from a normally moderate management union has led Chief Executive Levy to delay the Hinkley investment decision in order to consult with unions. Reports in the French press (Les Echos, Le Monde) suggest the problems go beyond the unions. Energy Minister Segolene Royale is now voicing concerns over the ‘colossal cost’ of the project and is worried about the diversion of money from renewables. Meanwhile the delays have led to greater scrutiny in the UK. The project has been roundly slated in the FT, Spectator, Daily Mail, The Economist and the Times. Hinkley also faces opposition from those close to Government: Lord Howell, former Cabinet Secretary Lord Turnbull ,and Boris Johnson. The political consensus, so crucial to a long-term project of this kind, has collapsed on both sides of the channel. The Chief Executive of Legal & General recently said: “Hinkley Point C is a total waste of money”. And whilst even a French union has warned that that in the UK government might in future “look after the consumer interest”, undermining profits from the project. Meanwhile, news that Chinese company CNNC will become involved is likely to inflame concerns, as the company has close ties to the Chinese military. CNNC states on its website that it “successfully developed the atomic bomb, hydrogen bomb and nuclear submarines”. The Government’s case for Hinkley is not being helped by the secrecy it is maintaining around the economics. Like a gambler who knows his luck is running out the remaining EDF management – the Finance Director having resigned in protest – is desperate to get UK Government to sign an investment agreement as soon as possible, to maintain some sense of momentum and before the political backlash against the project on both sides of the Channel builds to an unsustainable level. Although the immediate cause of the most recent delay to a Final Investment Decision on Hinkley is the need to placate French unions, it’s clear that there are much deeper, structural weaknesses in EDF’s finances and the reactor itself which will only become more apparent over time. Troubled as Hinkley is, however, this is a deal which is now subject to high state politics in UK, France and China, and determined governments can get their way – even when doing stupid things that have lost all wider support or rationale. It doesn’t mean Hinkley will get built – only that economic and political costs will get ever higher.